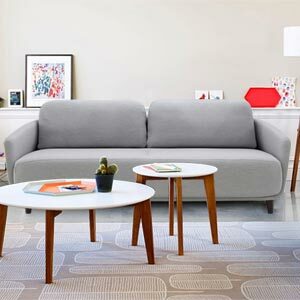 This Tuxedo style loveseat sofa set has a Midcentury Modern edge with the angled wood legs. 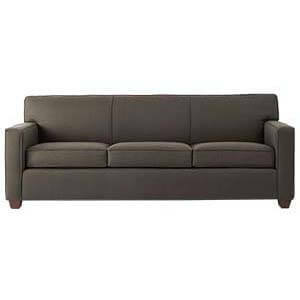 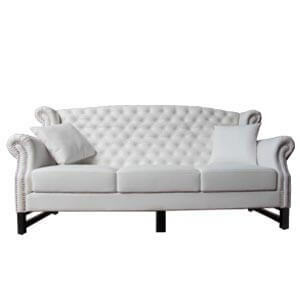 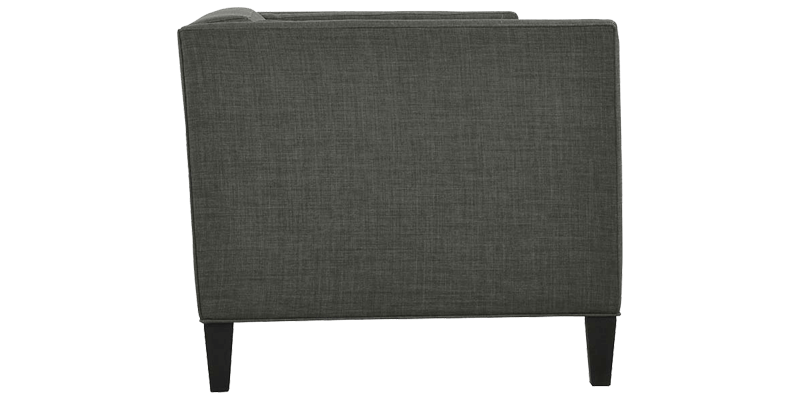 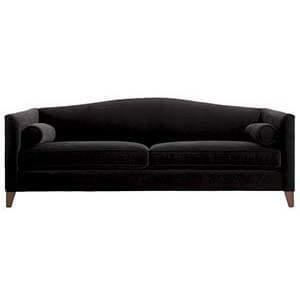 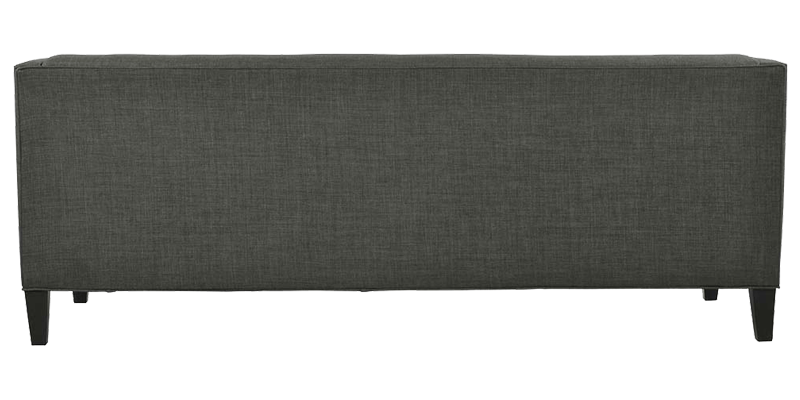 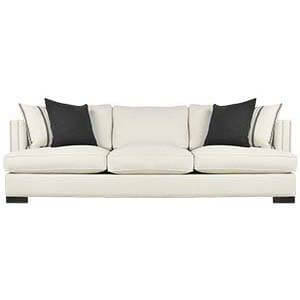 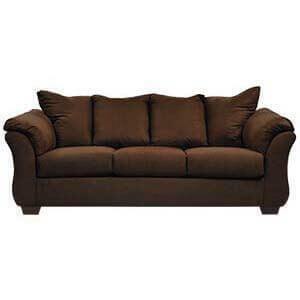 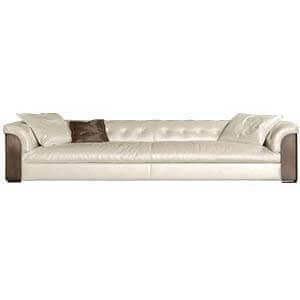 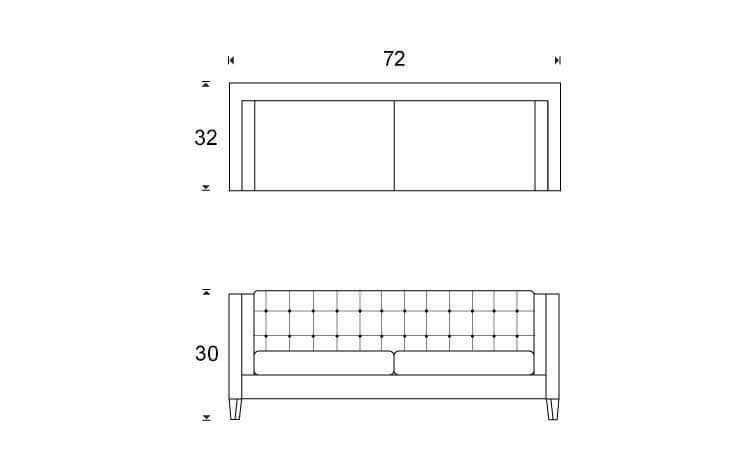 The button tufted back and shelter arms provide elegance while its slanted back ensures utmost comfort. 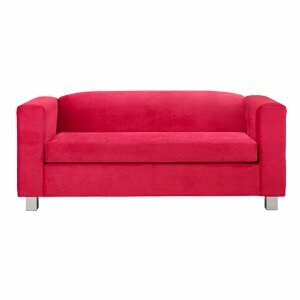 The look is kept demure with self-colored piping. 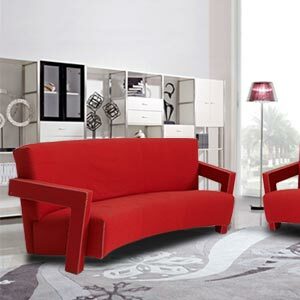 The box down cushions add an extra layer of cozyness. 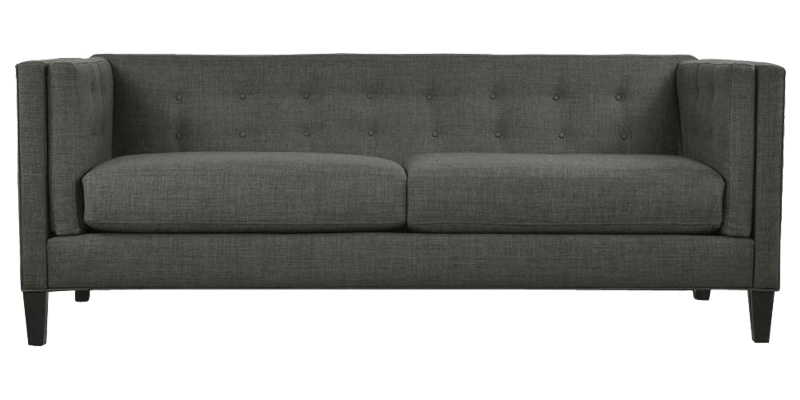 The fitted upholstery makes it both versatile and easy on the eyes. 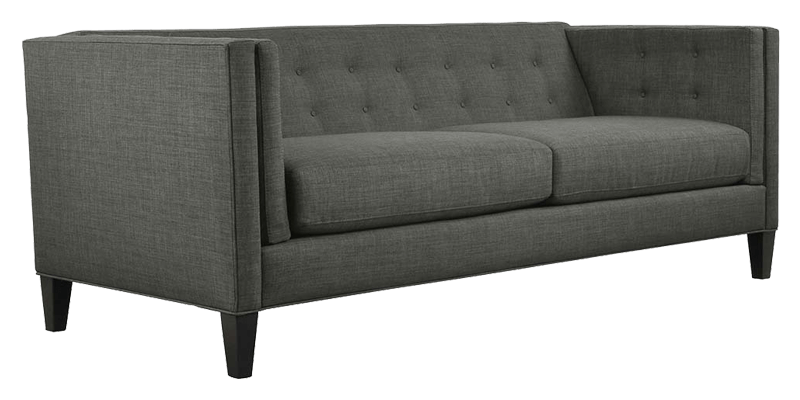 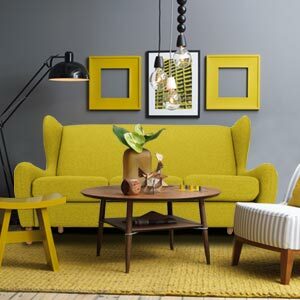 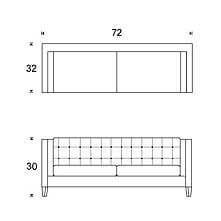 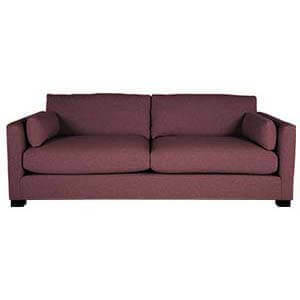 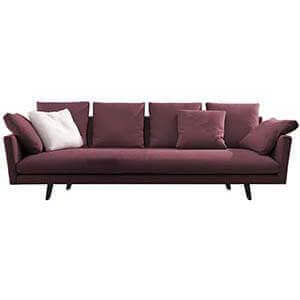 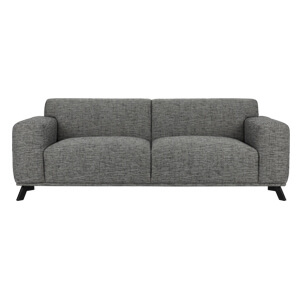 This two seater sofa is crafted with hand-built frames and hand-finished upholstery.